Increase productivity & minimize operator fatigue. 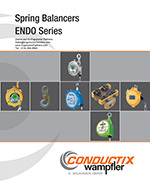 ENDO Tool Balancers are the ideal addition to your assembly line or work areas. They make air and power tools "weightless" using adjustable spring tension set to equal the weight of the tools. 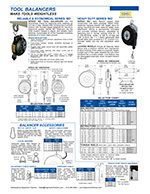 We proudly offer spring-driven tool balancers by Hubbel-Gleason. 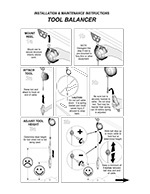 They keep tools within reach and reduce damage to tools by suspending them out of the way above the work surface. 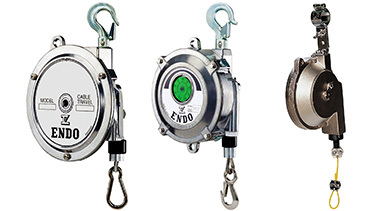 These balancers have a buffed and barrel-polished casings or covers, food-grade grease on the spring, zinc plated upper hook, with stainless steel lower hook, plug, and hardware. 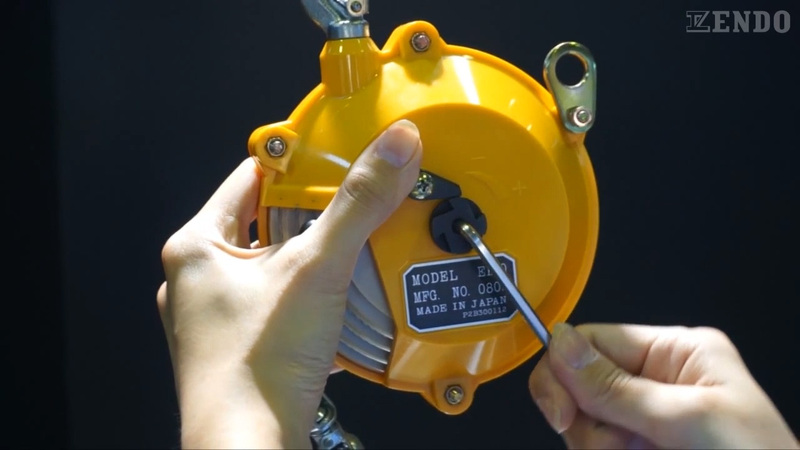 In this video we show how to balance a power tool using the Endo model EW-3 tool balancer that has a capacity range of 2.2 to 6.6 lbs. 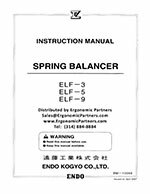 In this video we show how to adjust the spring tension using the ratchet type or worm type for Endo models EK, EW, EWF, ETP, ELF and EWA spring balancers. 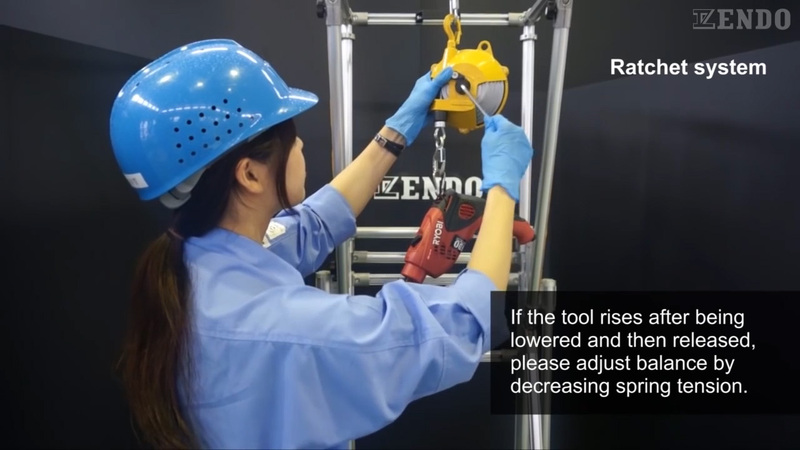 In this video we demonstrate the functionality of the Endo EWA model spring balancers built-in safety feature called snap back prevention. 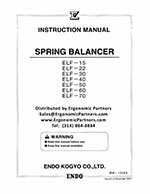 Why Choose an Endo Spring Balancer or Load Balancer? 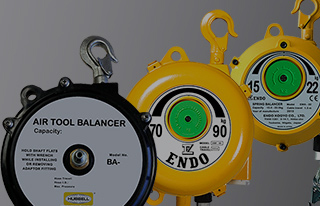 Choose the size of the balancer using the total weight to be suspended (tool plus accessories). 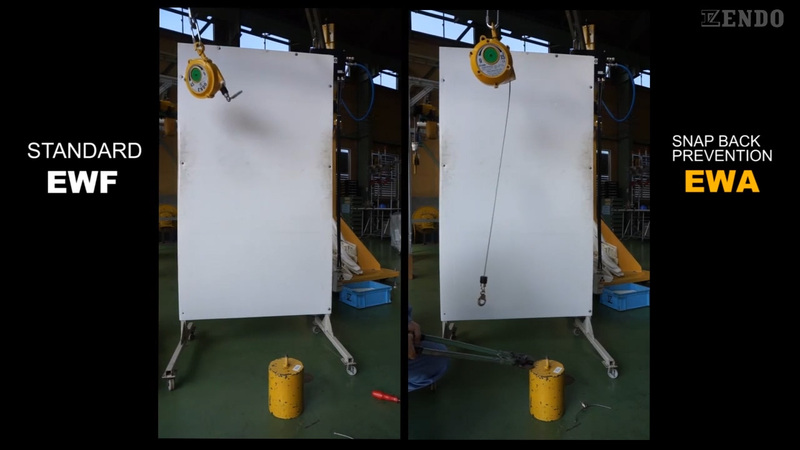 Try to use the upper zone of the balancer's load capacity data if possible. 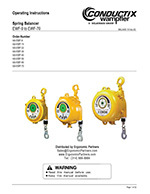 EWF series tool balancers 9 pound minimum range and above include an automatic brake and manual drum lock. 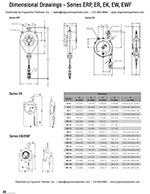 In the event that the spring breaks, an automatic centrifugal brake engages and locks preventing damage to the tool. 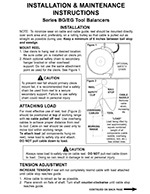 With the manual lock engaged, the drum will not rotate, the drum will not rotate. This allows for easy change out or tooling. 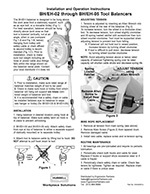 Hubbell-Gleason Reel Corporation has been in the business of cable and hose management for over 100 years. All products that carry the Hubbel-Gleason name are Made in the U.S.A. 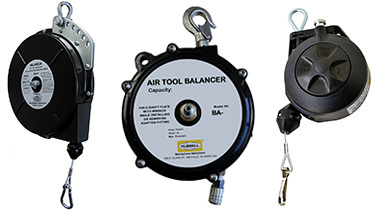 There are three types of balancers for nearly any application: light duty, heavy duty, and air tool balancers. 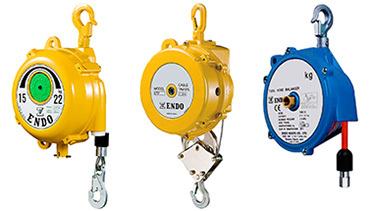 Ranging in capacity from 0.5 pounds to 187 pounds they all feature rugged housings, easy adjustment and steel cables. BH-02 3.3 ft. (1 m) 1.1 - 4.4 lbs. BH-03 4.3 ft. (1.3 m) 2.2 - 6.6 lbs. BH-05 4.3 ft. (1.3 m) 5.5 - 11 lbs. BH-09 3.9 ft. (1.18 m) 9 - 20 lbs. BH-15 3.9 ft. (1.18 m) 20 - 33 lbs. BH-22 4.5 ft. (1.37 m) 33 - 48 lbs. BH-30 4.5 ft. (1.37 m) 48 - 66 lbs. BH-40 4.5 ft. (1.37 m) 66 - 88 lbs. BH-50 4.5 ft. (1.37 m) 88 - 110 lbs. BH-60 4.5 ft. (1.37 m) 110 - 132 lbs. BH-70 4.5 ft. (1.37 m) 132 - 154 lbs. BH-85 4.5 ft. (1.37 m) 154 - 187 lbs. BH-100 4.5 ft. (1.37 m) 187 - 220 lbs. BH-120 4.5 ft. (1.37 m) 220 - 264 lbs. BH-140 4.5 ft. (1.37 m) 264 - 308 lbs.